Retailers are focusing more resources on social media strategies. More than half of retailers have a social media strategy and that number is growing every day. Retailers find social media to be effective because it provides large amounts of information about the consumer including which products consumers like and what consumers identify with the brand. In addition, if used effectively it can create increased traffic both online and in-store. The first step in developing a social media strategy is to determine how you can enhance the shopping experience and behavior in a way that fits your particular consumer. This includes determining why the consumer is interested in their brand and how to add value to the brand. Some methods of obtaining this information include surveys and focus groups. In addition, it is important to use the various social media channels including Twitter, Facebook, Pinterest, Instagram, and others that are most appropriate to your consumers, and keeping the information fluid and up to date, which helps to maintain consumer interest. There are ways to combine the online community with the physical store community. This can be accomplished, for example, by putting in-store signage on products which were most “liked” or “shared” online, and publicizing events that are happening in-store via social media and encouraging customers via product incentives to post pictures or comments to social media sites based on their in-store experience at these events. Social media savvy retailers track customer activity and feedback and adjust their product offerings to meet consumer needs. One way to gather information from consumers is to have interactive sites, including online communities, which engage the consumer in conversations and extended browsing. As you can see, developing and maintaining a social media strategy can be complex. However, the nice thing about using social media is that it can be used on a small or large scale. Retailers should gauge the cost benefit of their strategy in order to determine how much time and resources are available to maintain social media platforms in order to increase sales and create consumer buzz. Amy serves clients in a variety of industries including: manufacturing, distribution and retail, not-for-profit, insurance, and waste management. 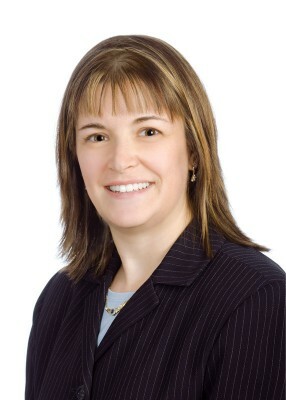 She has extensive knowledge in areas of finance including financial review and analysis, the audit process, financial reporting, and Sarbanes-Oxley set-up and testing. Read more of Amy's insights on our blog.